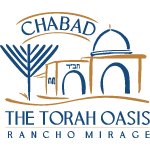 Join the community for our Annual Rancho Mirage Sukkah Hop (Walk), and Progressive Holiday Dinner. Starting at Chabad with Kiddush and stopping at three or four other sukkos for the continuation. Thank you to all of our hosts for making it happen Let us know if you'd like to help!